All funds raised will go directly to NAMI ILLINOIS INC .
May is Mental Health Month Each year millions of Americans face the reality of living with a mental health condition. 1 in 5 Americans will be affected by a mental health condition in their lifetime and every American is affected or impacted through their friends and family. Take action today to help others as we fight stigma, provide support, educate the public and advocate for equal care. Throughout May, NAMI and participants across the country are raising awareness for the importance of mental health. Each year we fight stigma, provide support, educate the public and advocate for equal care. Each year, the movement grows stronger. Help us spread the word, through the many awareness, support and advocacy activities below by showing you're #IntoMentalHealth. 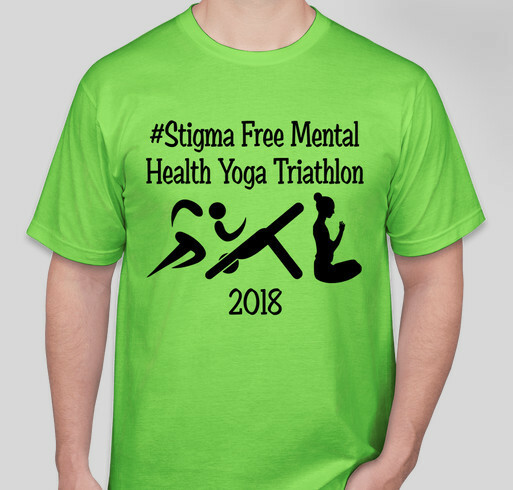 Share Why You Support "Yoga Triathlon Saturday May 26th 2018 Dellwood Park, Lockport Illinois"